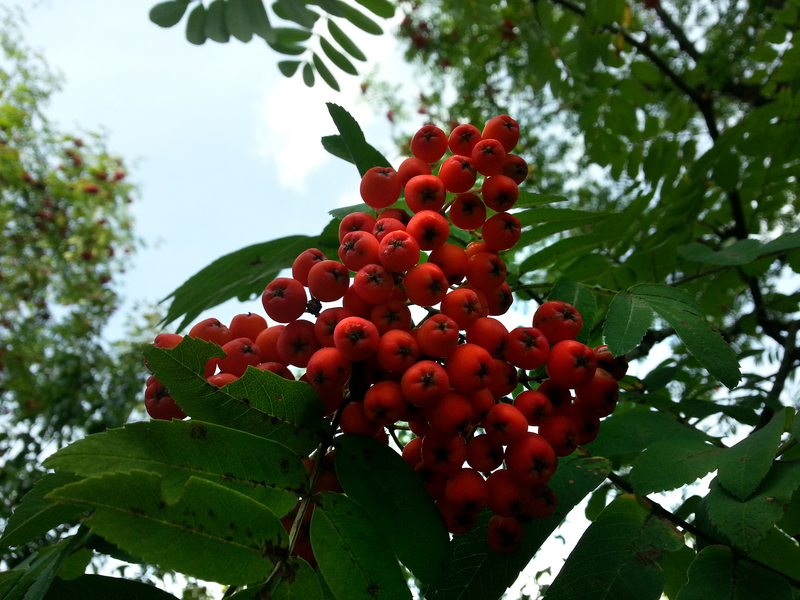 Mountain-ash or Rowan / Culori obținute din fructe de sorbus aucuparia, de Bianca Hațeganu. 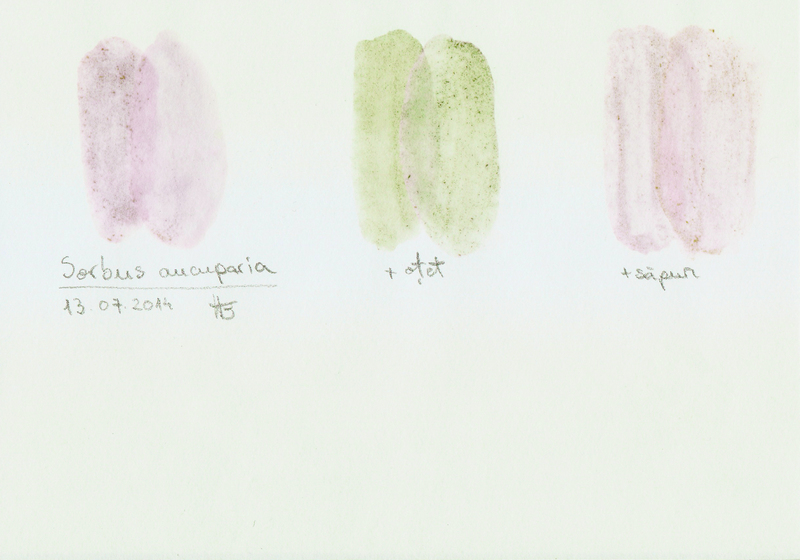 Samples of colours obtained from boiled mountain-ash. Planșa culorilor obținute din fructele de sorbus aucuparia, prin fierbere. Bark of the plant was used to dye wool brown or red.